All companies both large and small rely on technology to do business today. However, the modern IT environment is a complicated one, requiring significant resources to manage your operations. There are two approaches when it comes to managing your IT infrastructure: In-House IT or Managed IT Services. Let’s take a look at the pros and cons of each method. Pros: An in-house approach allows you to hand pick your team of IT professionals, as well as the technology you feel will benefit your company most. It’s a good approach for those who are up-to-date with today’s technology. It’s also beneficial if you are developing a product or service that is not currently on the market. Cons: An in-house IT department is commonly used by larger corporations, as hiring and training an IT staff can be expensive. Small- to mid-sized businesses also cannot afford the unpredictable overall costs that are associated with in-house IT. It’s also difficult to train a staff if you do not have IT professionals with qualified backgrounds in place. Pros: By outsourcing your IT management, costs can be broken down to fixed monthly payments, as opposed to the large (and unpredictable) investments that occur regularly when managing an in-house system. Small businesses can especially benefit from this predictable and cost-effective approach. Outsourcing your IT to professionals keeps your company up-to-date with emerging technologies, as research is done for you by qualified industry experts. These professionals are also available to you 24/7, so assistance can be provided when it’s needed. Infomax Office Systems’ professionals provide you with a safe and secure IT network that you can always rely on. With managed IT services, there is also the potential for an increase in scalability. When it’s time to expand your services as your organization grows, outsourced professionals can provide you with well-designed systems that have been successfully developed through years of research. Relying on these IT professionals for major innovations allows your in-house team to remain focused on other value-added projects. Cons: Organizations that want to avoid outside help and maintain complete control of all decision making should not utilize this approach. Outsourcing IT requires complete trust in another company to carry out tasks that will meet the needs of your business. As you can see, both approaches to IT management have their pros and cons. However, for most businesses, managed IT services is the most effective and cost-friendly approach, allowing your company to utilize the latest and greatest technologies. For more information on how a Managed IT Services partner can help accomplish business’s IT goals, contact Infomax Office Systems today. Think of all the data collected from consumers, companies, and devices. 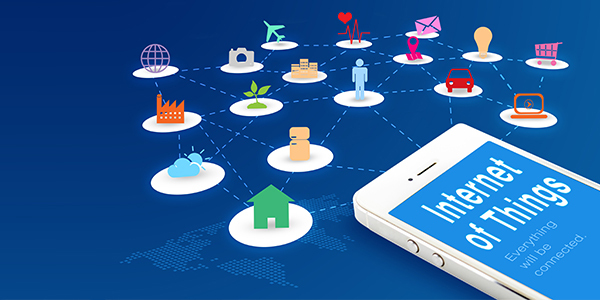 Now imagine all of that data being connected in a network of information, an ecosystem of devices that talk to you, each other and the world around them—that is the Internet of Things (IoT). The IoT is real, it’s growing, and most consumers interact with it on a daily basis. But what is it doing for you? Here are the good, the bad, and the ugly truths of what the Internet of Things can bring to your business. With smartphones and a variety of interactive technology, consumer data is more accessible than ever before. Many customers are willing to share their information through apps and digital interactions, which means you know your customers. And if you know your customers, you know your potential customers. Using the information you have based on your current customer base, apply that knowledge toward connecting with new consumers. Maybe you’ve learned that most of your demographic is more likely to make purchases in the evening. Creating an evening sale or late-shopper incentive could be a great way to find new buyers. You aren’t the only company with this consumer data gold. Other businesses are collecting this information as well, and they know what to do with it. Your company needs to stay innovative and use the data to create better business and better products. Staying ignorant of the latest and greatest will not only make you fall behind, but your customers will notice your lack of innovation and knowledge. Smarter technology throughout the workplace means smarter business. Features like electronically tracking your inventory and equipment sending you notifications on functionality issues and energy usage create optimum performance and efficiency. We all love the pizza tracker, don’t we? And Amazon’s shipment locator is a gift from above when you’re anxiously waiting for that new cast-iron skillet. Utilize technology to increase your efficiency and foster customer loyalty. The more information you have, the more you have to lose. With data breaches becoming a regular occurrence, it’s more important than ever to secure your information for both your company and your customers. Consumers trust you with their data, but one breach can change that forever. Building credibility is a long road, and once it’s damaged, it takes even longer to re-build. If used correctly, the IoT can bring you more customers, more efficiency and more data to work with—which all result in increased revenue. It’s all about how you connect, how you interact and how you choose to use data to your benefit. Those who understand its potential are the ones who will succeed. Using data to cater to your clients and bring in new leads is the ultimate goal, so make sure you’re harnessing technology properly in order to meet that goal. Every business relies on email to communicate effectively. Unfortunately, email-centralized cyberattacks are a growing trend around the world. For this reason, businesses of all sizes are focusing on email security more than ever before. There are many ‘flavors’ of email threats out there with the potential to harm your network. Let’s take a look at a few of the most common types that are making the rounds in 2017. Phishing attacks are becoming increasingly popular. This is when a cybercriminal impersonates a business or person with the intent to steal personal data or login credentials. It’s usually in the form of an ‘urgent’ message that attempts to scare users into giving up vital information. Defensive technology is important to prevent employees from falling victim to phishing; however, do not overlook the importance of ongoing education and awareness for all users on your network. This type of attack is on the rise in the ever-growing world of social media. Attackers create fake profiles on social media sites to gather information on unsuspecting users. This information is then used in email attacks. It is again important for users to be educated on how to safely navigate social media sites, especially in the workplace. Ransomware has frequently been in the headlines over the past year or so as more and more businesses, hospitals, and government agencies fall victim to these attacks. Ransomware is a type of malware that encrypts the victim’s data and blocks access to it until a specified amount of money—a ‘ransom’— is paid. This epidemic is spreading quickly through emails that contain malicious links or attachments. User awareness is an important component of protecting your business from these types of attacks. Along with this awareness, defensive technology also needs to be in place to balance out the risk of human error. Cybercriminals are constantly trying to fool users with new schemes; blocking these malicious emails from your network is your best bet to remain secure. For more information on how to protect your business from email threats such as phishing, spear phishing, and ransomware, contact Infomax Office Systems today. It’s no secret that people love their smartphones. People around the world are glued to them for a number of reasons. Businesses too are embracing mobile device technology with the intent of changing the way they operate. Mobile technology gives employees the freedom to create flexible work plans in remote locations. The opportunity to work remotely will drive results that cannot be achieved sitting behind a desk in an office all day. There are benefits of mobile device management that cannot be dismissed. Many of these benefits revolve around security. Since mobile devices allow your employees to work from multiple locations on a daily basis, security is a top priority. Your business is made up of sensitive data that you need to protect, even while your employees are out and about doing their jobs. Here are some of the ways mobile device management will help you secure your information. You can guarantee the security of the mobile devices connected to your network 24/7 through features such as remote locate, lock and wipe, device restriction settings, restriction of website browsing access, and BYOD (bring your own device) privacy settings. Adherence to regulatory compliance standards is a major concern for many organizations today. You cannot afford to have an unauthorized device on your network. With mobile device management, you will have end-to-end control of your devices through registration and configuration. You can track and monitor your organization’s compliance initiatives, along with analytics and reporting. Employees rely on a variety of documents to carry out their daily responsibilities. For example, sales people rely on updated presentations and contracts that vary from customer to customer. With mobile device management, you can securely and quickly share documents amongst the users on your network. Mobile technology is making it easier to conduct business on the go. With mobile device management, you can implement a secure system that will allow your employees to operate from anywhere without the worry of compromising any of your vital data and information. If you are ready to implement an easy-to-use mobile device management plan for your business, contact Infomax Office Solutions today to learn more.